The foodtech brand has launched its fourth delivery partner-focused digital spot titled #WhatsInAName. Conceptualised in-house, Swiggy's new video attempts to blend a layered narrative about one's identity. The spot may make some of the brand's delivery partners feel a little warm all over, but is it likely to do the same for consumers? Srivats TS, VP marketing at Swiggy, the Bengaluru-based foodtech company shares the objective of the #WhatsInAName video. Much like the others, this one too seems aimed at having users empathise with Swiggy's delivery partners while highlighting the dignity of labour. 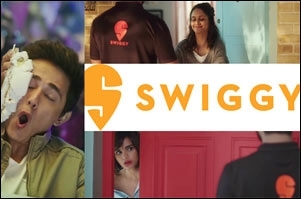 Srivats explains, "Through a series of videos that are true to Swiggy's characteristic style of being highly relatable and striking a chord, while being fun and intriguing to watch, we're trying to sensitise consumers about the lives of our delivery partners." Stressing the fact that Swiggy's delivery partners are their backbone, (over 1 lakh in number and the largest in the industry - Swiggy claims) the brand went over the top with its previous videos (4 films) as they were all about acknowledging their efforts and celebrating them. The video was created based on valuable insight and feedback that delivery partners, like everyone else, have names and unique identities that they would like customers to acknowledge. And it seems to be working as the brand claims that many consumers are also consciously making it a point to call Swiggy's delivery partners by their names and even post about their experiences on social platforms. "Overall, we are positive that this will lead to more valuable interactions between our customers and delivery partners," says Srivats, sounding hopeful. Through the right mix of products, services, new initiatives, and an innovative marketing mix, Swiggy has managed to create quite a buzz in the recent past. 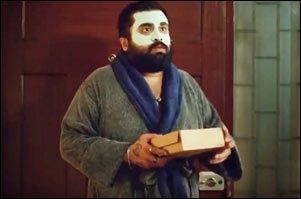 "We've showcased the value of the brand through everyday, relatable scenarios in our TVC campaigns like the much-loved IPL themed ad as well as the recent 'Swiggy karo Phir Jo Chahe Karo' TVCs. At the same time, our delivery partner-focused videos on digital have been hugely successful in highlighting other core aspects of our business," Srivats informs. "We choose each medium based on the campaign objectives. For city-specific campaigns, we tend to use a combination of digital and outdoor, while for national campaigns we use TV and digital more than outdoor as the scale and reach of those are much larger and more cost-effective," he adds. The country's leading on-demand ride-sharing companies - Uber and Ola also deserve a small mention here. As opposed to the 'fleet' of Swiggy deliverymen, whose names also show up on the app, but are nonetheless still referred to simply as "Swiggy", people often tend to refer to their cab drivers by their names. For example, when tracking your food order the conversation would go - "Swiggy (refereeing to the delivery partner)? How far are you?" Now, if you were to call your cab to know their location, the conversation would never sound like this - "Uber/Ola? Where have you reached?" No, it would go more like - "Sumitji, Where have you reached?" Jagdish Acharya, founder and creative head, Cut The Crap feels the Swiggy spot is earnest in its effort. "Today, the interaction with the deliverer at the doorstep is down to a minimum and simply transactional. This is because there are a number of them visiting one's home, given the growing role of e-commerce. The whole system has become smooth and professional. Where's the need for emotion of any sorts here?" he says, raising a very valid question. Forging a bond with the 'messenger' would have been a competitive idea at the beginning of the home-delivery revolution in India. "It has less edge in the current context," Acharya agrees. "The spot has been well directed, though the narrative is a bit weak on humour and charm while depicting various incidences," he states signing off. Ramanujam Sridhar, founder and CEO, brand-comm, has a different take. Although he does praise the brand for recognising the issue of how the service provider (delivery partners in this case) should be treated as an individual with a name, he seems to have a serious disconnect with the first half of the ad. While speaking of the execution, he says, "This is your brand name, so why feel defensive about it in any way? Now, unless you're going to change the name, I don't see the need for the first part of the campaign where they show how the poor chap is terribly ashamed of his name etc.," we can't help but agree. Navin Theeng, executive creative director, Havas Gurgaon, feels this Delivery Partner OLV is a clear marker of how Swiggy is evolving as a brand. It started as a delivery service, not very different from other delivery service companies. "So, every interaction with it could be just a transactional exchange; evoking no sentiment at all. But with this OLV, it is clearly standing up for its delivery partners, evoking their love and appreciation and the viewer's as well. If Swiggy continues along this path of communicating its values and beliefs, it will start garnering love that all good brands evoke," he says. The creative argument is that people should be called by their name and not the company or service they represent. Theeng believes it is an interesting space, but the execution could have helped push it further. He backs it up, "If, for example, it had been a story of everyone in the city being called by their apartment number or their profession or the car they drove, the point might have come out stronger." Heard Harsha Bhogle's commentary in the new Swiggy ads?